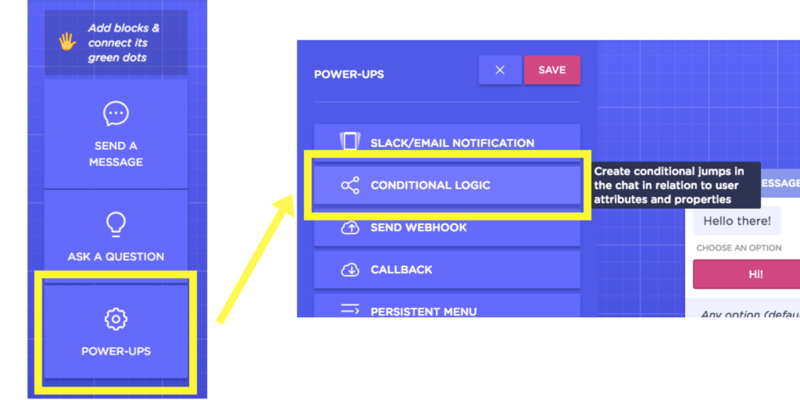 Conditional Logic allows you to hyper-personalise your final User Experience. Make sure a field exists or equals something specific and bring contextualised experiences to your visitors! Note: Conditional Logic is only available on premium accounts. 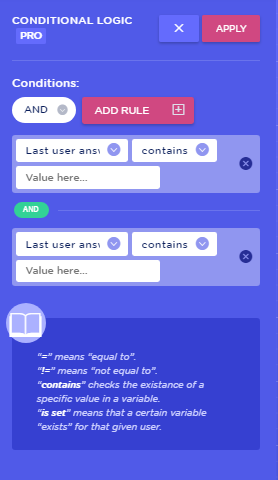 Then, select if you want to split the flow depending on the existence (...is set...) of a field, the fact that it's equal (...equals...) to something or that the visitor's message containing a specific keyword ("the last user answer contains"). For the first two conditions, select any of the fields in the first drop-down. For keyword trigger, select "The last user answer". If you need it, you can also add a second condition clicking on Add rule. 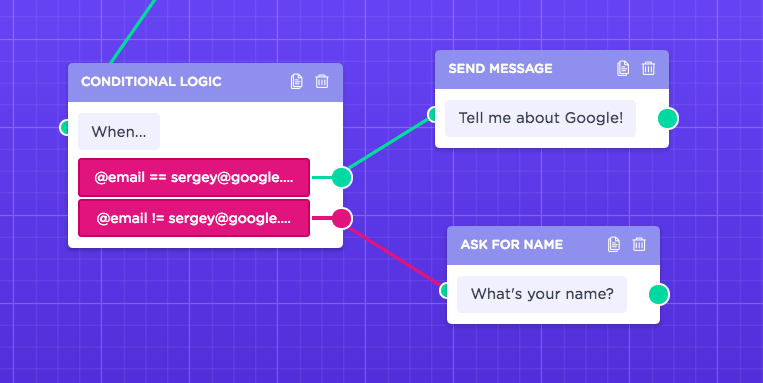 The green line is followed when the field (email) does equal sergey@google.com. If there's no coincidence, landbot will follow the red line! 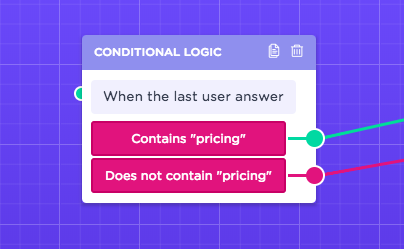 If the visitor's answer to the previous Ask a question block contains the word "pricing", the flow will continue the green line. If it doesn't, the red will be followed. "Is set" means that a certain variable "exists" for a determinate customer.